pain and suffering to the heart of Bahá'u'lláh. The following is a reference in the Epistle to the Son of the Wolf to this episode. Gracious God! This is the day whereon the wise should seek the advice of this Wronged One, and ask Him Who is the Truth what things are conducive to the glory and tranquillity of men. And yet, all are earnestly striving to put out this glorious and shining light, and are diligently seeking either to establish Our guilt, or to voice their protest against Us. Matters have come to such a pass, that the conduct of this Wronged One hath, in every way, been grossly misrepresented, and in a manner which it would be unseemly to mention. One of Our friends hath reported that among the residents of the Great City (Constantinople) he had heard with the greatest regret someone state that, each year, a sum of fifty thousand túmáns was being despatched from his native land to 'Akká! It hath not, however, been made clear who had disbursed the sum, nor through whose hands it had passed! 3. Epistle to the Son of the Wolf, pp. 122-3.
empire and an important centre for trade and business, other individuals soon arrived, some of whom were faithful believers and some followers of Mírzá Yahyá or trouble-makers. In this way Constantinople became a nest of conspiracy and intrigue against the Faith of Bahá'u'lláh. The situation grew worse as the years went by, and the campaign of hostility and vilification reached such proportions as to become a cause of distress to Bahá'u'lláh during the last ten years of His life. Two prominent followers of Mírzá Yahyá in Constantinople were a certain Shaykh Muhammad-i-Yazdí and Muhammad 'Alíy-i-Tabrízí. In one of His Tablets5 Bahá'u'lláh describes the former as the most wicked of all men. The latter was expelled from the Holy Land by Bahá'u'lláh because of gross misconduct and shameful behaviour. He went to Constantinople and joined hands with the former, and together they used every possible means at their disposal to undermine the unity of the Bahá'ís and to destroy the good name of the Faith. * see above, pp. 120-24. † see vol. 3, pp. 88-91.
standards of honesty and fairness in all his business transactions and soon became known as one of the most trustworthy merchants in the city. This aroused the jealousy and antagonism of the Azalís who began a campaign of vilification and slander against Nabíl in high circles. At first their activities were trivial and unimportant, until a new figure arrived on the scene. 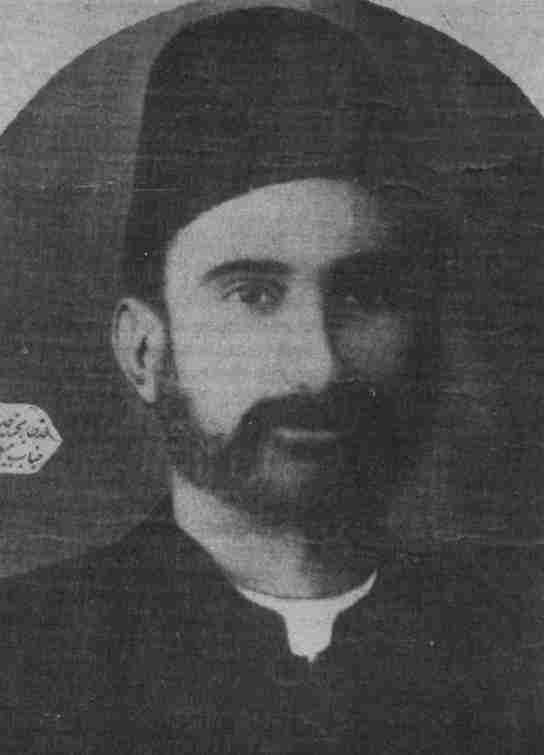 This was a certain Muhammad-'Alíy-i-Isfahání, a so-called Bahá'í who was a trouble-maker and had been sent from 'Akká to Constantinople by Bahá'u'lláh. He was a small tradesman and had settled in the city before the arrival of Nabíl. The full story of the conspiracy and mischief which ensued over the years is given in full by Mírzá 'Abdu'l-Husayn-i-Samandar, a nephew of Nabíl who was personally a witness to it all. It is a complex story and only a summary of it is given here. From the start Muhammad-'Alí, the mischief-maker, began causing difficulties for the Afnán's trading establishment. Eventually, in order to contain him, Nabíl, with the approval of the Afnáns, invited Muhammad-'Alí to become a partner in the business. For some years the affairs of the company went smoothly, and Muhammad-'Alí became the recipient of huge profits. However, during these years he involved himself secretly with the Azalís, especially his namesake Muhammad-'Alíy-i-Tabrízí and Shaykh Muhammad-i-Yazdí. Hand in hand with the Azalís, Muhammad-'Alí began a campaign of defamation against the followers of Bahá'u'lláh. Their lies and calumnies reached such proportions that Nabíl could no longer bear them. One evening he attempted suicide by throwing himself into the sea, but he was rescued in the nick of time. with the help of the Azalís brought a case against Názir to the Persian Ambassador who, after questioning, relieved him of the charges. He then brought the case to the Ottoman court which declared the innocence of Názir once again. Being defeated, Muhammad-'Alí found no other option but to attack the Faith. Supported by the Azalís, he published a statement in the newspaper Akhtar in which he falsely accused Hájí Mírzá Siyyid Hasan,* known as the Afnán-i-Kabír, of having robbed him of his profits, imputed to him dishonesty and deceitfulness, announced that he was severing relations with the trading house, warned people to beware of the treachery of the Bahá'ís and hinted that some of the Writings of Bahá'u'lláh had been responsible for the whole affair. This was not, however, the end of the story. Although the company had by then been wound up by Mírzá Muhsin-i-Afnán (the son of the Afnán-i-Kabír) and the son of Samandar, and both men had returned to the Holy Land, it was necessary to refute the misrepresentations of Muhammad-'Alí. Three people were sent by Bahá'u'lláh to clear up the affair. These were Siyyid Ahmad-i-Afnán (another son of Afnán-i-Kabír), Hájí Amín and Názir. Later it was necessary for Nabíl to join them as well. This was the autumn of 1889. Their mission was successful insofar as Nabíl was able to prove in the Ottoman court the falsity of the claims of Muhammad-'Alí and the innocence of the Bahá'ís. A document was signed by the leading merchants of the city, testifying that Muhammad-'Alí had lied all the way through and that he owed the Afnáns a considerable sum of money. However, the mission failed to force Muhammad-'Alí to pay his debts to the Bahá'ís. * He was a brother of the wife of the Báb, see below, pp. 402-6. After the death of Nabíl, Hájí Amín and Názir left Constantinople, but Siyyid Ahmad-i-Afnán remained there, and when it became necessary for him to go to 'Ishqábád, Bahá'u'lláh sent 'Azízu'lláh-i-Jadhdháb,* a dedicated believer and a capable businessman, to relieve the Afnán, take over the management of his affairs in Constantinople and expedite the departure of Siyyid Ahmad-i-Afnán to the Holy Land and then to 'Ishqábád. * see vol. 3, pp. 168-73.
the hands of the Azalís, were once again revealed for all to see. In a Tablet7 revealed in October 1890 (18 Safar 1308) Bahá'u'lláh states that on several occasions the Azalís have stolen some money and accused the believers directly and Himself indirectly of being the perpetrators of the crime. He cites the example of Názir, and then Siyyid Ahmad-i-Afnán, the latter being accused of stealing ninety pounds in cash together with valuable papers and taking them to 'Akká. Bahá'u'lláh in this Tablet asserts that all these calumnies originated from Mírzá Yahyá in Cyprus and were then made effective through the machinations of Shaykh Muhammad-i-Yazdí. Two of the chief instigators of the mischief were Shaykh Ahmad-i-Ruhi and Áqá Khán-i-Kirmání. Both men were from the province of Kirmán. They collaborated for many years to discredit Bahá'u'lláh. They arrived in Constantinople in about 1888 and soon went on a visit to Cyprus to meet their leader Mírzá Yahyá. This visit resulted in the marriage of the two to his daughters, marriages which soon broke up. Mírzá Áqá Khán and Shaykh Ahmad were both highly intelligent, erudite and talented writers. They were the elite in the group of Azalís in Constantinople. In many of His Tablets Bahá'u'lláh has condemned these two as the embodiments of evil and the source of all sedition. Long before their activities against the Faith were noticed, Bahá'u'lláh had remarked in the Kitáb-i-Aqdas the existence of the foreboders of evil in the land of Kirmán, stated that there existed an undercover situation displeasing to God which was hidden from the eyes of men, and promised that God would raise up men 'endued with mighty valour' in that city who would make mention of Him. No one could guess who the perpetrator of evil was until Shaykh Ahmad embarked upon his notorious activities against the Faith. Later, in several of Bahá'u'lláh's Tablets, it was made clear that the ominous remarks in the Kitáb-i-Aqdas referred to Shaykh Ahmad-i-Rúhí. He was the son of Mullá Ja'far-i-Kirmání, an Azalí and an inveterate enemy of Bahá'u'lláh. amanuensis, describes how in earlier times Shaykh Ahmad used to consider himself a believer while committing vile and contemptible deeds. When his wretched conduct became public knowledge he sent several letters to Bahá'u'lláh through a certain believer, repenting of his actions and expressing deep regret. In these letters he demonstrated such submissiveness and loyalty that a reader might become convinced of his sincerity. In another Tablet9 revealed around the same time, Mírzá Áqá Ján states that Bahá'u'lláh responded to his letters by saying that God would forgive him provided he remained steadfast in the Cause. Yet notwithstanding all this he broke his own promises, joined hands with Mírzá Yahyá, distributed false accusations against the Faith and caused great pain and suffering for Bahá'u'lláh. He thus brought about the fulfilment of the warnings of Bahá'u'lláh in the Kitáb-i-Aqdas concerning the 'land of Kirmán'. As to his accomplice, Mírzá Áqá Khán, he used to befriend the believers in Constantinople, and through them he gained a good deal of information about Bahá'u'lláh and the activities of the Bahá'ís in various parts. He even asked permission to visit Bahá'u'lláh and, when he did, it was obvious that his intentions were dishonourable. In one of His Tablets10 'Abdu'l-Bahá recalls that when Mírzá Áqá Khán went to 'Akká he indicated that his intention in coming was to ask some questions so as to find the truth. Bahá'u'lláh intimated that Áqá Khán's aim was otherwise and that soon he would show his true colours. Áqá Khán did not ask any questions while in 'Akká, but on his return to Constantinople he published an account saying that he was not satisfied with the answers, whereas Mírzá Yahyá had already resolved his questions. In one of His Tablets11 referring to Mírzá Áqá Khán Bahá'u'lláh states that when a person rejects the proofs of the truth of the Cause which are demonstrated to him, he will receive his punishment. As we shall see, this perfidious man was executed in a most brutal fashion about four years after the ascension of Bahá'u'lláh. 9. Unpublished compilation, National Archives Committee, no. 31, p. 32. Shaykh Ahmad and Mírzá Áqá Khán found another outlet in Constantinople to further their sinister designs. This was the Pan-Islámic movement led by Jamálu'd-Dín-i-Afghání, a deceitful person who was intent upon dethroning Násiri'd-Dín Sháh of Persia. Inwardly he was against the Bábís, but he was playing politics, and so the three men had no difficulty in pooling their talents and resources to make mischief everywhere. This union suited the two Azalís very well, because they too were pursuing the policy of overthrowing the government of Persia, which was the policy of Mírzá Yahyá and his supporters. The intrigues and conspiracies created by these three knew no bounds. Jamálu'd Dín wrote an account against the Faith in an Arabic encyclopaedia published in Beirut about which Bahá'u'lláh states in the Lawh-i-Dunyá that 'the well-informed and the learned were astonished'. Jamálu'd-Dín then went to Paris and published a newspaper by the name 'Urvatu'l-Vuthqá (The Sure Handle). Being a two-faced man, he used to send a copy to the Master on a weekly basis as a friendly gesture, and offered to publish any statement that the Master might wish to make, an offer which was totally ignored. In 1896 one of Jamálu'd-Dín's supporters in Persia succeeded in assassinating Násiri'd-Dín Sháh. From then on events moved very fast. Three men, including Shaykh Ahmad and Mírzá Áqá Khán, were sent back to Persia by order of the Sultán of Turkey, and were mercilessly beheaded in Tabríz by order of the Crown Prince, Muhammad-'Alí Mírzá, for committing acts of treason against their country. Thus the machinations of the Azalís in Constantinople received their death blow. Jamálu'd-Dín escaped the net and died a year later. 13. Epistle to the Son of the Wolf, p. 106. The 'distinguished Siyyid' and 'highly accomplished, learned and distinguished man' mentioned in these passages are both references to Hájí Mírzá Siyyid Hasan known as the Afnán-i-Kabír, a brother of the wife of the Báb. He was also a paternal cousin of the mother of the Báb. 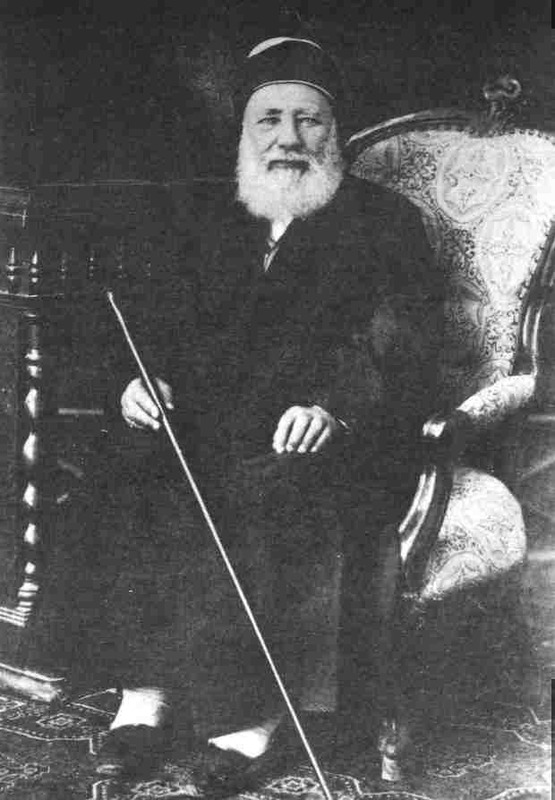 He was very much attracted to the person of the Báb, and became a believer in Yazd through the teaching efforts of Hájí Muhammad-Ibráhím, entitled by Bahá'u'lláh 'Muballigh' (Bahá'í teacher). It was to this teacher of the Cause that Bahá'u'lláh revealed the Tablet quoted in the Tablet of Ishráqát (Tablets of Bahá'u'lláh, pp. 117-19) and in the Epistle to the Son of the Wolf, pp. 131-4. * see vol. 2, pp. 386-7. 14. Epistle to the Son of the Wolf, pp. 67-8. Among the most eminent of those who left their homeland to join Bahá'u'lláh was Mírzá Hasan, the great Afnán, who during the latter days won the honor of emigrating and of receiving the favor and companionship of his Lord. The Afnán, related to the Báb, was specifically named by the Supreme Pen as an offshoot of the Holy Tree. When still a small child, he received his portion of bounty from the Báb, and showed forth an extraordinary attachment to that dazzling Beauty. Not yet adolescent, he frequented the society of the learned, and began to study sciences and arts. He reflected day and night on the most abstruse of spiritual questions, and gazed in wonderment at the mighty signs of God as written in the Book of Life. He became thoroughly versed even in such material sciences as mathematics, geometry, and geography; in brief, he was well grounded in many fields, thoroughly conversant with the thought of ancient and modern times. One of the major themes of the Epistle to the Son of the Wolf is the unveiling of Bahá'u'lláh's station as the Supreme Manifestation of God. In the early days when He was cast into the darksome dungeon of Tihrán which witnessed the birth of His Revelation, Bahá'u'lláh alluded in His Rashh-i-'Amá, a celebrated ode,* to the advent of the Day of God. From that time on He announced these glad-tidings in innumerable Tablets, and as the sun of His Revelation mounted to its zenith, He unceasingly proclaimed this theme to mankind and identified Himself as the Revealer of the Most Great Spirit of God whose advent had been promised by the Prophets of the past. * For further information see vol. 1, pp. 45-6. * see Epistle to the Son of the Wolf, pp. 41-4. * For these prophecies see Epistle to the Son of the Wolf, pp. 115-19, 140-47, 151-60. ‡ For more information about the utterances of the Báb concerning the Revelation of Bahá'u'lláh, see vol. 1, ch. 18, and above, pp. 127-8. 20. Epistle to the Son of the Wolf, p. 116.
abashed to claim for Himself any existence whatever, how much more those exalted grades of being!' This apparent contradiction and the true station of Bahá'u'lláh have both been explained in this* and previous volumes in great detail. * see above, pp. 125-39. 26. Epistle to the Son of the Wolf, p. 18. ‡ This short prayer is part of a special prayer in Islám, in which the Greatest Name (Bahá) is featured. For more details see vol. 1 , p. 117. 32. Epistle to the Son of the Wolf, p. 96. Although the Epistle to the Son of the Wolf was addressed to Shaykh Muhammad-Taqí, many of Bahá'u'lláh's utterances in it are directed towards humanity in general, and some to particular individuals. In addition to the references to historical events and the presentation and expounding of His teachings, considerable space is given to the unfaithfulness of Mírzá Yahyá and his followers, who are referred to as the 'People of the Bayán'; the machinations of Siyyid Muhammad-i-Isfahání; the activities of Mírzá Hádíy-i-Dawlat-Ábádí and several others. An attempt to elaborate on all these subjects would fill a large volume in itself, and in fact they have already been considered in this and the preceding volumes of this series. To assist the reader in the study of this last major work of Bahá'u'lláh, some notes are given as Appendix III of this volume. 34. Epistle to the Son of the Wolf, pp. 113-14.